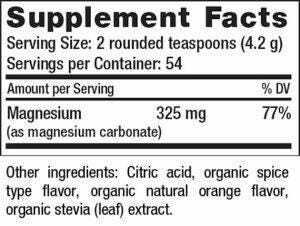 Natural Vitality CALM Holiday Citrus Spice is rated 4.7 out of 5 by 3. Introducing Natural Vitality CALM—limited-edition Holiday Citrus Spice Flavor. This delicious citrus spice flavor joins the best-selling line of Natural Vitality’s Calm, which promote healthy magnesium levels and help balance your calcium intake—to help promote a sense of calm. Just in time for the holidays, multi-award-winning Natural Vitality’s CALM is now available in a limited-edition holiday citrus spice flavor. Natural Vitality CALM is the #1 selling magnesium supplement in the Natural Channel for the past 10 years.1 Natural Vitality CALM is an effervescent drink that promotes healthy magnesium levels and balances calcium intake—helping you to feel less stressed and more relaxed. Rated 5 out of 5 by Jules from Holiday Citrus Spice - Best Flavor hands down! I've been using CALM for about 4 years on the recommendation of my doctor and it works well for me. I tried multiple flavors and finally settled on Raspberry/Lemon for the long haul but eventually tired of that too so had stopped taking for several months late laster year. Then I came across the Holiday Citrus Spice....absolutely love it! A MUST keep flavor! Rated 5 out of 5 by Sandy from Citrus Spice Vitality Calm I bought this last fall to try a new flavor. It worked the same as other Calms, but not my favorite flavor. I still like the raspberry lemon the best. I recently had to go to two stores to find it. How about a holiday cranberry blend? Rated 4 out of 5 by N1ckster from Change of Paste Because I take Calm daily - I alternate all of the flavors. Holiday Citrus Spice was entered into that flavor-rotation as a change of taste. Plus: Natural Vitality made the price attractive.